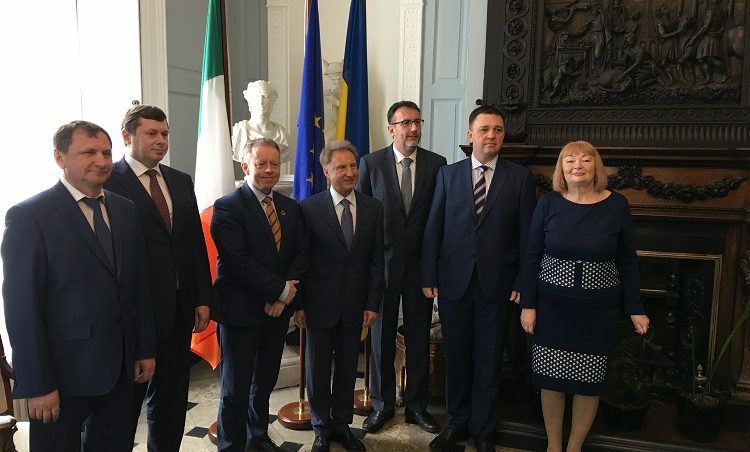 Some of Ukraine’s senior judicial figures were in Ireland’s capital city, Dublin, this week to examine approaches to building an independent judiciary – which is key to Ukraine’s Rule of Law reform and that of the entire Civilian Security Sector. 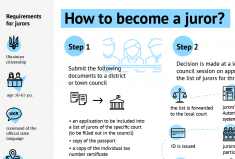 The three-day knowledge-exchange programme comes just months after a senior delegation from Ireland, including the Irish Chief Justice, Mr Frank Clarke, carried out workshops in Kyiv and Kharkiv for 60 judges from Ukraine’ appeals courts and local courts. In Dublin this week, Mr Justice Clarke in turn received the Ukrainian delegation for a study visit organised jointly by Ireland’s Department of Foreign Affairs and Trade and EUAM. 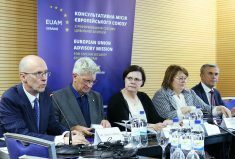 The visiting delegation was comprised of the heads of Ukraine’s courts of appeal in Kharkiv and Kyiv, the heads of Lviv District Administrative Court and Civil Cassation Court within the Supreme Court, as well as the Rector of the National School of Judges. The integrity and independence of the court system in Ireland is widely acknowledged, with the Irish judiciary enjoying a high level of public trust. At the heart of Mr Clarke’s address to the Ukrainian delegation last Monday were the principles of ethics and accountability, and ensuring judicial impartiality and confidentiality. In between discussions, the Ukrainian delegation also had the opportunity to observe a hearing of the Irish Supreme Court. They then had discussions about the workings of the criminal courts with a number of judges, including Mr Justice Patrick McCarthy and Mr Justice George Birmingham), before being hosted by the Minister of State at the Department of Foreign Affairs and Trade (with special responsibility for the Diaspora and International Development), Mr Ciarán Cannon (pictured third from left, above), for a working lunch. The delegation also visited the Law Society and the Bar Council. While in Ireland, the Irish and Ukrainian parties were already drawing up plans for the next installment of the professional exchange, a training programme scheduled to take place in Kyiv and Lviv later this year.